Information from Hanoi Department for Culture, Sports and Tourism reveals a new plan to strongly invest on amusement infrastructure with the purpose to attract more international tourists and keep them staying longer. As proposed, the suburb area which is within 20km away from the city center would be used to build an enormous complex of entertainment center with bars, electronic games center, art show and high-end restaurants and hotels to serve the increasing demands for entertainment from both citizens and international visitors. 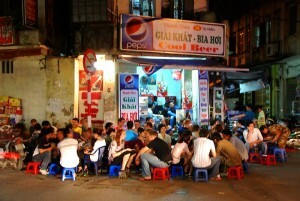 In addition, the areas around Hoan Kiem Lake and Hanoi Old Quarter would be transformed into pedestrian streets at nights with enhanced services from bar streets and night-food streets. 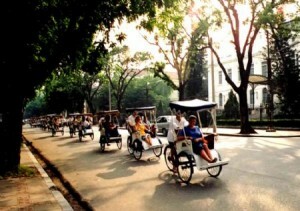 Although Hanoi always possesses the densest number of international passengers, most of the tourists consider it is only a transitional place to move to nearby locations or other tourist cities in Vietnam that people don’t stay here for too long. Very great post. I simply stumbled upon your weblog and wanted to say that I have truly loved browsing your weblog posts. After all I will be subscribing on your feed and I hope you write again very soon! You’re really a excellent webmaster. The web site loading speed is amazing. It kind of feels that you’re doing any unique trick. In addition, The contents are masterwork. you have done a great job in this topic!